The truth is not all chiropractors are the same. Many don’t offer the latest techniques, methods or lack the technology to address your needs. Dr. Ken Frederick and Dr. Karen Busso utilize a comprehensive and personable approach to ensure each patient receives the best possible chiropractic care. Our chiropractic office in Port Orchard offers the most advance methods to help patients regain their life without pain. Do you suffer from scar tissue adhesions due to surgery, trauma or repetitive stress? 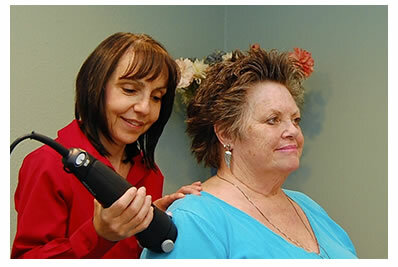 Rapid Release Technology™ is a revolutionary NEW breakthrough in therapeutic technology. It focuses on relieving soft tissue problems that affect nerves, muscles, tendons and ligaments. It targets Scar Tissue Adhesions, tight muscles and spasms. It relieves stress and tensions in the muscles and connective tissue, increasing mobility. It can help the joints by relaxing the surrounding tissue which relieves joint stress. Schedule your Rapid Release Treatment today! Frederick Chiropractic shared a photo.